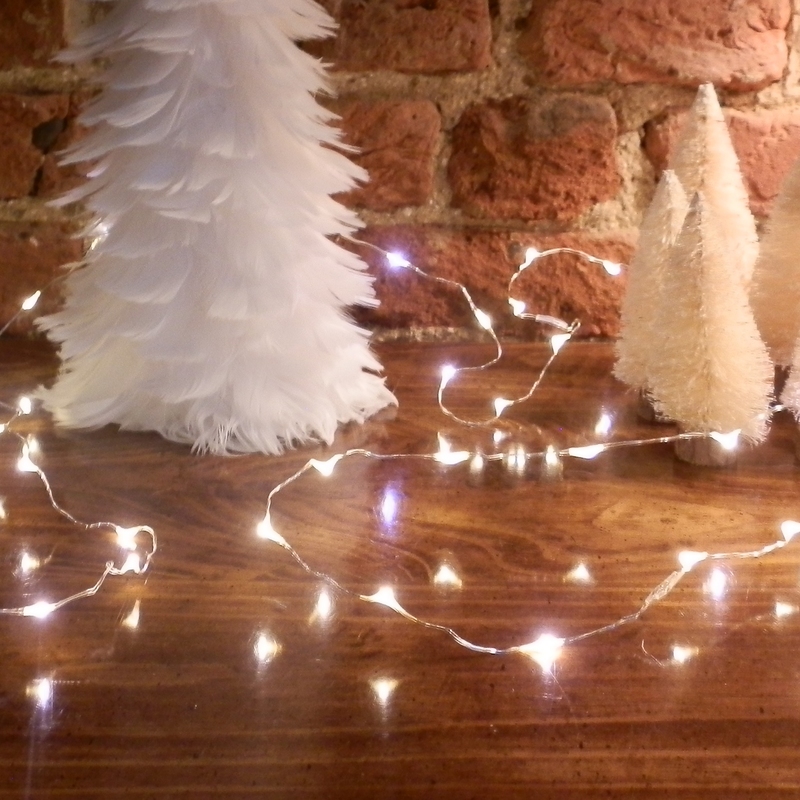 A string of dainty fairy lights to create a magical party table. 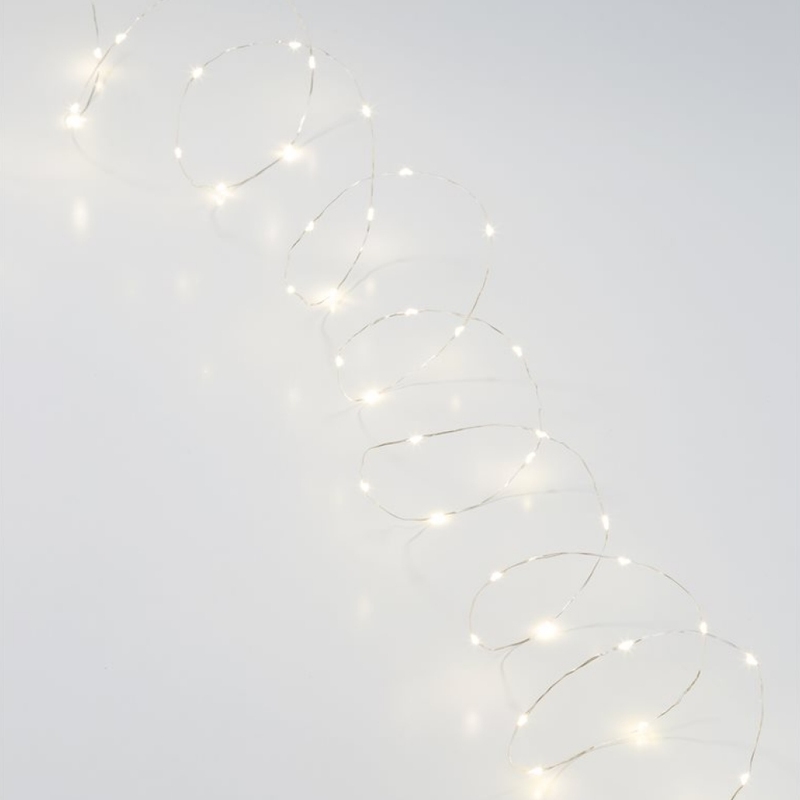 These beautiful little fairy lights are brilliant for decorating tables and add an atmospheric glow to parties and wedding venues. The delicate little fairy lights are also perfect for creating a soft gleam through party and wedding centrepieces. The pack consists of 60 warm white lights with AA battery pack. Requires three AA batteries (not included).